In need of some immediate General Zod combos? If so then Maximilian is here to satisfy those cravings. Head inside to watch Superman get decimated. 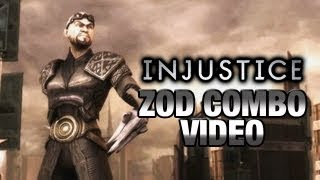 To the surprise of no one, Maximilian has purchased the latest Injustice: Gods Among Us DLC character General Zod on the first day of release. Even less surprising is that Max has posted day one combos of Superman's fierce rival.